The Soviet pilots-fighters of the 124th Air Regiment are sent to the airfield. From left to right: the commander of the 2nd wing Alexander Georgievich Pronin, wing commanders Mikhail Pavlovich Barsov and Anatoly Avksentyevich King, deputy commander of the 2nd squadron Dmitry Zanin. 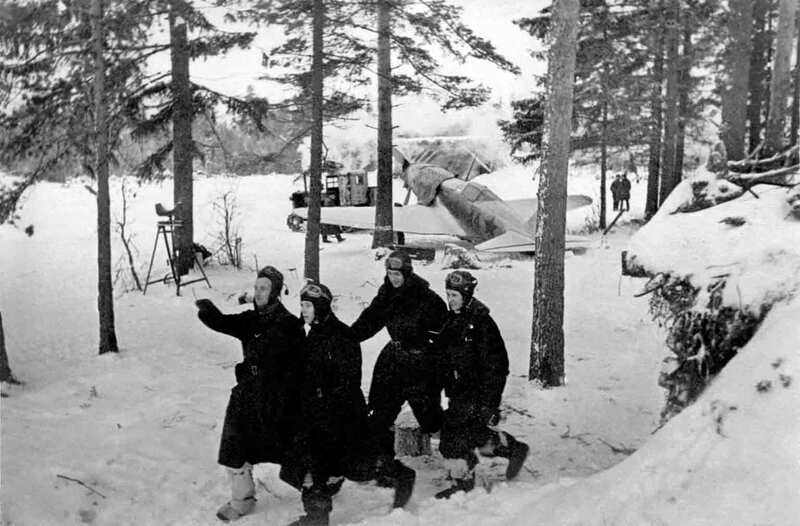 For the trees can be seen the Soviet MiG-3 fighter aircraft.